Many people are drawn to North Carolina because of its diverse beauty and abundance of streams, lakes and coastal waters. But while growth is welcomed for its economic and cultural benefits, increased development can degrade our waters if care is not taken. One important way of keeping waterways clean and healthy is maintaining the natural trees and other vegetation along their banks. With all of the benefits that buffers bring for our ecosystems, property owners, and safety, who could be against buffers? Surprisingly (or not), many of our elected officials are actively fighting to dismantle and eradicate buffers, which should seem absurd after learning more about how important they are for our environment, water sources, and properties. 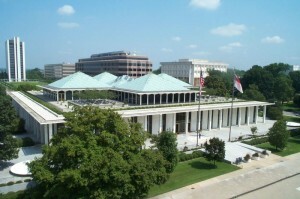 HB 119 – Amend Environmental Laws 2011: weakened the Neuse and Tar-Pam riparian buffer rules. SB 229 – Amend Environmental Laws 2012: expanded a loophole in the Neuse and Tar-Pam buffer protections, and weakening changes to NC’s basinwide planning process. Unfortunately, this bill passed both chambers with very limited debate or public comment along the way. SB 515 – Jordan Lake Water Quality Act: exempted certain utilities and airport facilities from being subject to riparian buffer rules. HB 44 – Local Government Regulatory Reform 2015: banned local governments from enacting, implementing, or enforcing a local government ordinance that establishes a riparian buffer requirement that exceeds federal or state law. Our bet: a lot of dead oysters and even further polluted drinking water. And with no more buffers, our homes and communities will be further susceptible to flooding; ecosystems that rely on clean, healthy bodies of water will disappear; and all of our state’s natural beauty will become a page in our history, not in our future. And the environmental cost isn’t the only consideration. Increased pollution in drinking water sources means that we have to rely more and more on water treatment plants. That’s taxpayer dollars to subsidize a process that shouldn’t even be happening if our leaders would embrace and prioritize the natural filters that Mother Earth has given us in the form of buffers. What can you do? Contact your elected officials. Urge them to remove Section 14.13 from the final state budget. You can read more about this specific bill here. It’s not buffers versus development/property rights. Both can co-exist. But, if the balance continues to tip away from buffers, the looming threats of flooding and contaminated waters grow even larger.